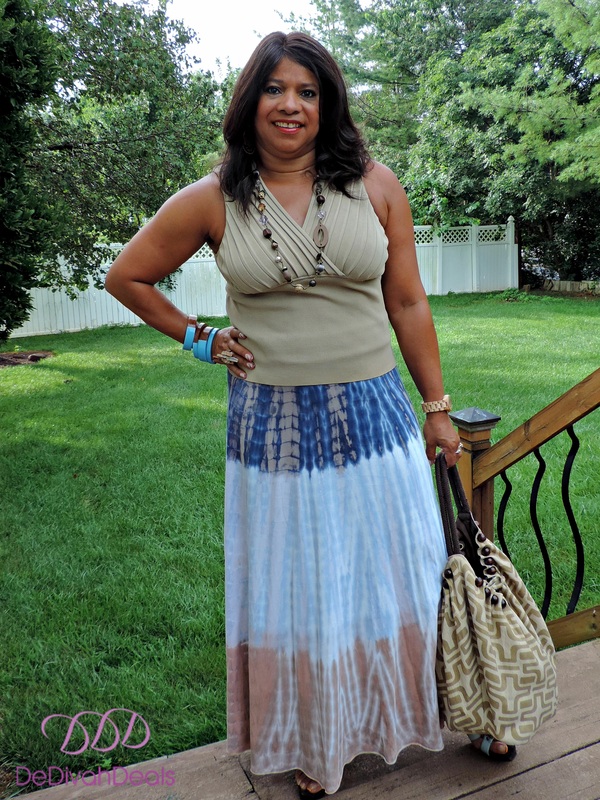 If there is one style that never seems to go out of style that would be Boho Chic. Made popular in the 60s and 70s, when Afros, Dashikis, block parties, outdoor concerts and free love was all the rage, this comfy casual look was perfect for the times. 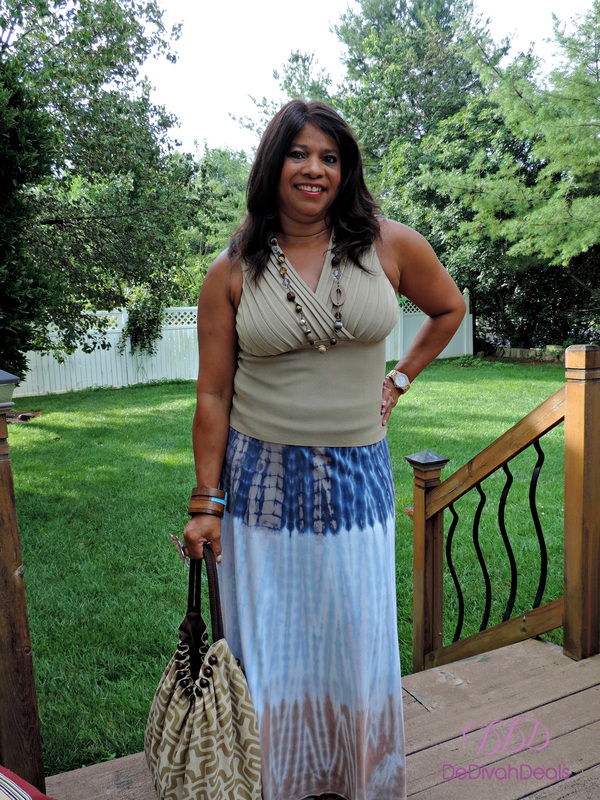 Now that we boomers have grown and matured, we still love the free spirit style of this casual attire. Generation X Y and Millennials are also loving Boho Chic so we can all expect it to be around for quite a long time. 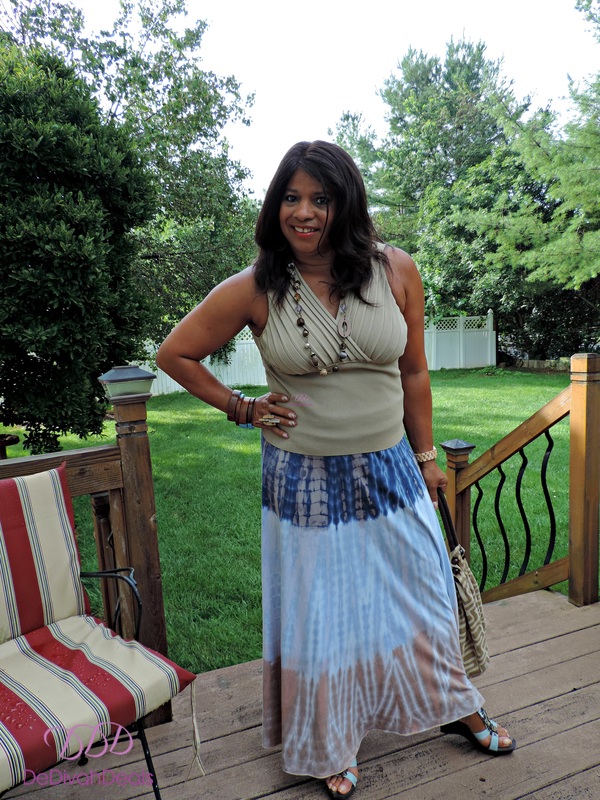 The tie dye maxi skirt has been in my closet for years, I believe it was a purchase from Ross Dress for Less. This time I chose to wear it with a thrifted sleeveless tank, other times I have also worn it belted. Accessories that include an oversize ring, wooden multi color bangles, wooden watch, wood heels sandals and necklace along with a sloppy ‘boho bag’ completes the Boho Chic look. Do you have a favorite Boho Chic outfit? If you can find tie dye clothing, make it yourself! Have you “had the talk” with your college freshmen? Yes, a tshirt and denim jacket would be a great idea. I always love the boho chic look, so do my girls! I know, the girls looked so cute in their boho attire. Thank you, yes the 70s had some great styles which became popular again in the 90s. I Love that skirt on you Sis. LOVING the skirt. So cute and I love the boho feel! Thank you, I loved the styles of the 60s and 70s. I love your skirt. It is cute and probably very comfortable. Thank you Sonya, it is definitely one of my favorites. Love this look and the bag works well with the outfit! Thank you, I’ve had it for such a long time, I love it. What a cute style! I love that whole look. It’s pretty, but also looks so comfortable! Thank Rena, I love this style, so comfy and casual. What a beautiful skirt! I love the earthy colours in it!